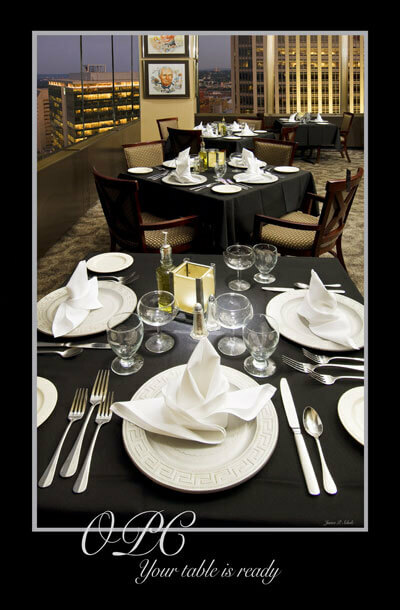 PICK OF THE WEEK June 18-29 Omaha Press Club Open to the Public for CWS 1620 Dodge St., First National Bank, 22nd floor, parking in adjacent hotel garage 11 a.m.-11 p.m., $10 all entrees (includes side), No reservations required 402.345.8008, omahapressclub.org Party like a reporter at the Omaha Press Club during the College World Series, when the rooftop private club with panoramic views of downtown opens to the public. No one’s suggesting you should steady deadline-frayed nerves with shots. Instead, this open invitation is a chance to rub shoulders with newsmakers and news gatherers in the posh confines of this elite institution and enjoy some elevated ballpark fare, too. Check out the Hall of History and “Faces on the Barroom Floor” (actually framed caricatures hanging on the walls). But mostly get in touch with your inner Anderson Cooper or Citizen Journalist by making an exclusive visit normally reserved for member insiders and guests. Sweet access.